Kate MacLeod is an American folk/bluegrass singer-songwriter who performs both solo and with a backing band, the Pancakes, and has also performed in the past with Celtic band Shanahy. Kate is originally from the Washington, D.C. area and now resides in Salt Lake City, Utah. Kate has released three solo albums: Trying to Get It Right (1995); Constant Emotion (1997); and Feel the Earth Spin (2001). Kate MacLeod and the Pancakes released the album Breakfast in 2005. 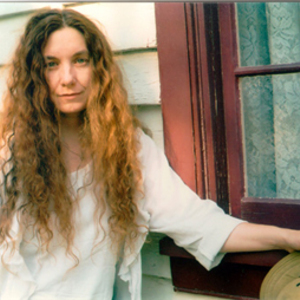 Kate has recorded a duet album, Drawn from the Well (2002), with Kat Eggleston. Kate has released three solo albums: Trying to Get It Right (1995); Constant Emotion (1997); and Feel the Earth Spin (2001). Kate MacLeod and the Pancakes released the album Breakfast in 2005. Kate has recorded a duet album, Drawn from the Well (2002), with Kat Eggleston. She also peformed on Shanahy's albums Trip to Ballymena (1995) and Far Away (1999), the latter of which was produced by her. In addition, Kate produced Anke Summerhill's debut album, The Roots Run Deep (1998), and Kate's songs have been performed by several other singers in the American folk, bluegrass, and country scenes.